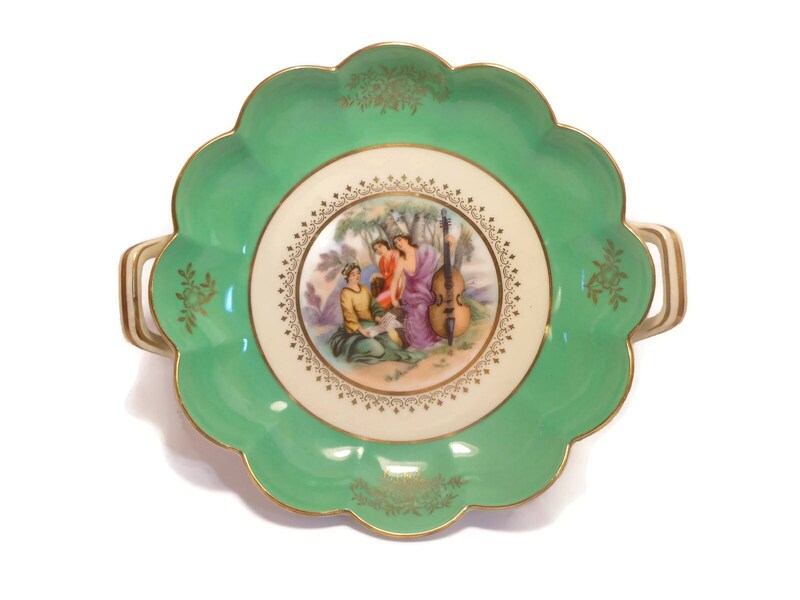 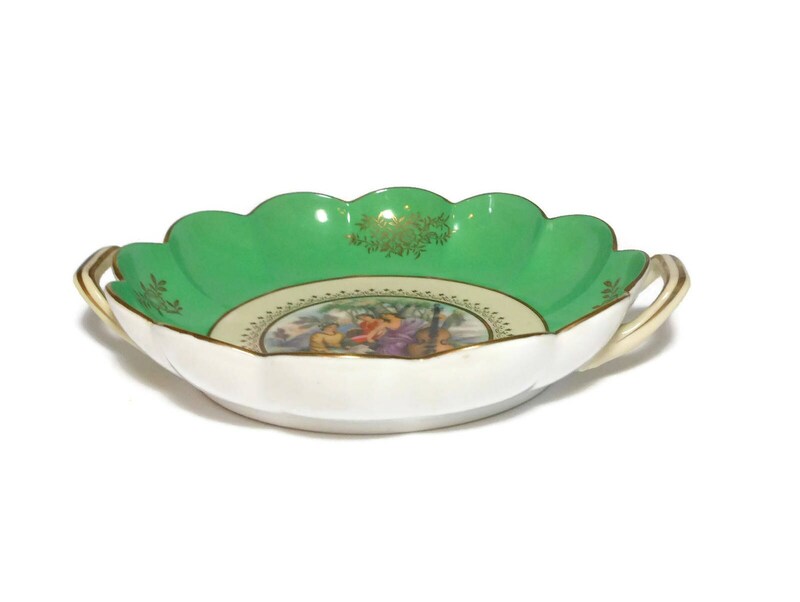 Noritake candy dish, small serving plate, 1930's era, scenic 3 women one playing cello, green border, hand painted two handles gold rimmed. 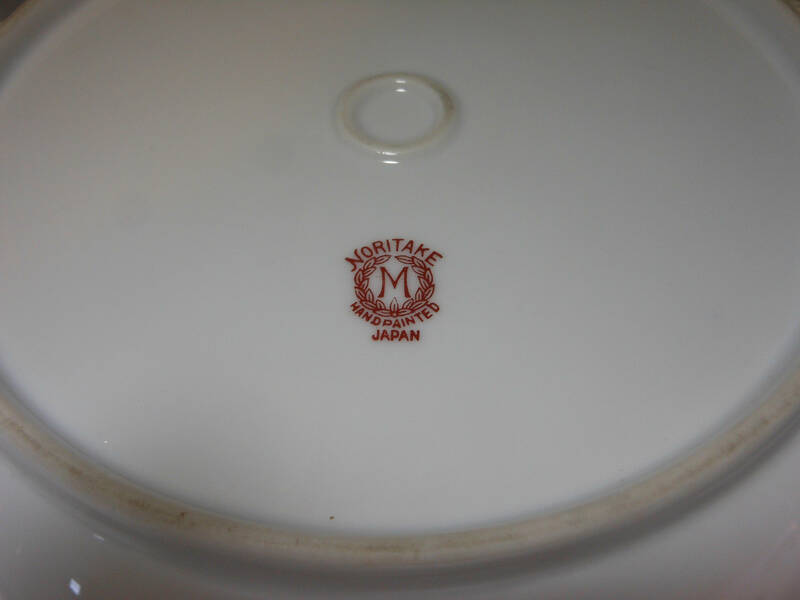 Letter "M as in "Morimura" surrounded by a wreath, crowned by "Noritake" in capitals and below also in capitals, Hand painted and Made in Japan. 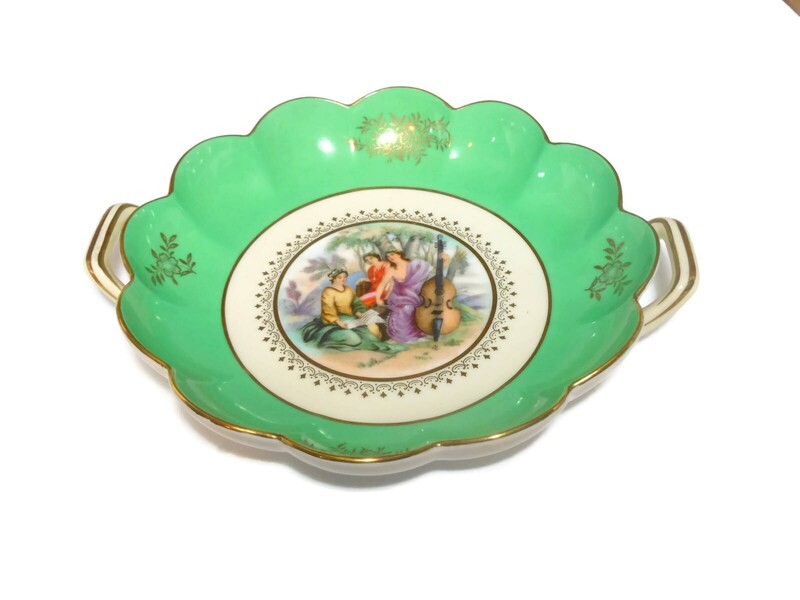 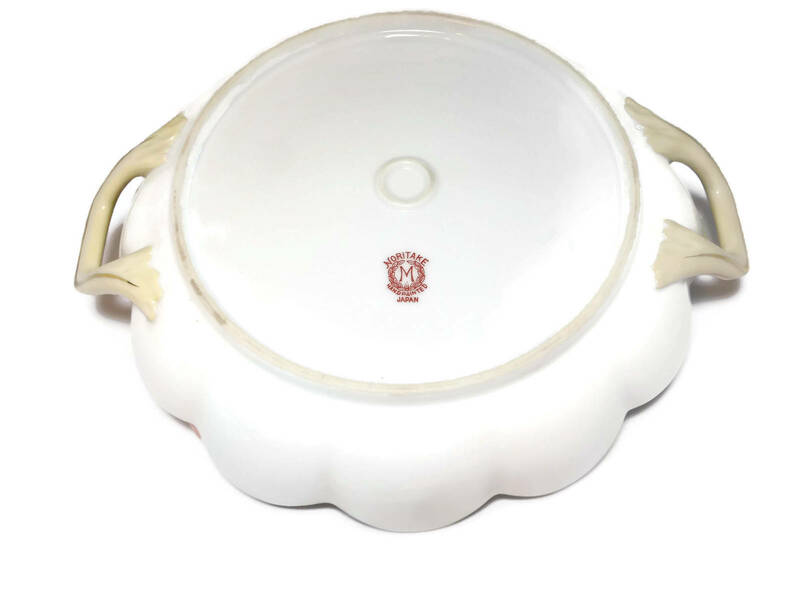 The plate measures 6 3/4"" (17.1 cm) in diameter without the handles and is in very good vintage condition.